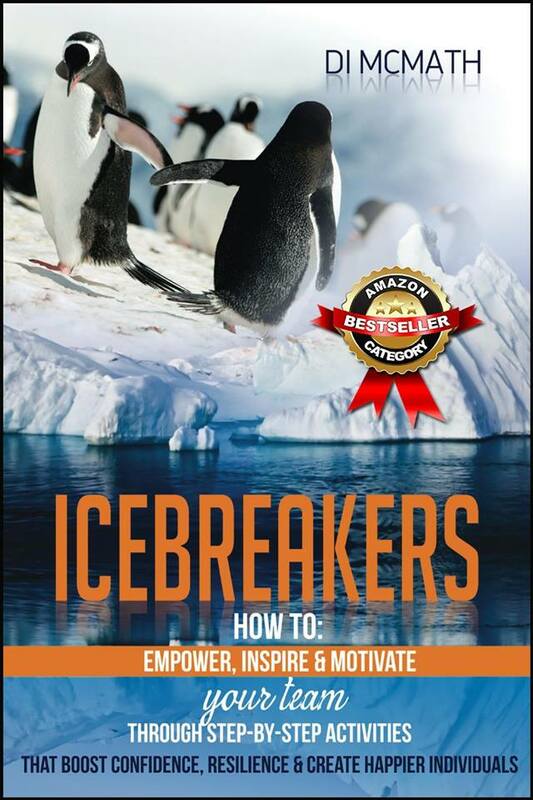 Icebreakers: How to empower, inspire & motivate your team through step-by-step activities that boost confidence, resilience & create happier individuals. *Comes signed by the Author* (unless otherwise stated in writing by purchaser). Have you ever had to facilitate a group or team, where you wished you could just click your fingers and there was an instant lift of energy in the room? Or have you ever wished that you could allow your group or team to discover their own potential and see how amazing they really are – and can be? Based upon positive growth & NLP principles, ‘Icebreakers’ is a simple yet effective ‘tool’ for a whole range of readers. Teachers, trainers, facilitators, managers, coaches, parents, teenagers, & even ‘tween-agers’ can all benefit from reading it. When implemented – Di McMath (author) intends it to have a positive ripple effect in the lives of individuals, families and cultures of businesses and schools around the world. It aims to provide a solid foundation for positive growth. “When I was finishing my studies to become a ‘Coach’, I was trying to find a book with empowering and positive activities – for putting my workshops together. I couldn’t find one…..so I wrote one!” – Di McMath, Author. *The majority of proceeds from every paperback sold from this website – have proudly been supporting the Cure Brain Cancer Foundation (CBCF) & Care For Life Suicide Prevention Network (CFLSPN) – Gold Coast in the past. In 2018, we will continue to be supporting the CFLSPN (to help suicide prevention), but will be changing from CBCF to The Charlie Teo Foundation (to help find a cure for brain cancer). “Di’s book is not only great for team building, it builds other goal setting skills along with character skills within each member of the group.